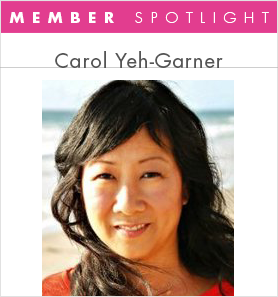 Meet NAPW members in Member Spotlight, a bi-weekly column that lets members highlight their careers and businesses. 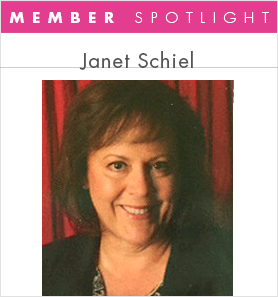 This week, we feature 10 accomplished women, so be sure to check out each of their profiles. VIP, Elite and Preferred Members: To be featured in an upcoming issue of the newsletter, contact us at featuredwomen@napw.com. NAPW: In what ways do you raise the bar for yourself and others around you? Arnold: I always research in order to keep learning, and I share the information that I obtain in the hope that it will help everyone contribute to our society in a positive way. NAPW: What tools or processes do you use to stay organized? Arnold: An iPhone, iPad, iMac and an Apple Watch. I need them all to stay organized. NAPW: What is the most important quality you look for in an employee? NAPW: What leadership style do you use to manage your employees? Arnold: I will get in the trenches along with my team and roll up my sleeves with them to get the job done. NAPW: What career lessons have you learned the hard way? Arnold: I’ve learned to never over-promise and under-deliver. 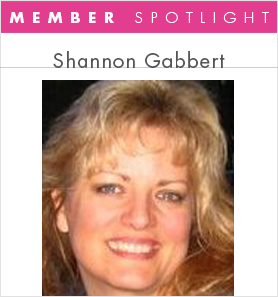 Want to contact this member? Connect on NAPW.com today! Then message her or write on her Activity Wall. NAPW: What qualities make a good leader? Gabbert: I have a passion to continually learn and better myself and to help others who want to better themselves. I don’t believe that success is measured monetarily, but rather by how what you do makes you feel. I want others to have that understanding. NAPW: If your job progresses as you like, what would be the next step in your career? Gabbert: We are in business to help others. Our next step is to open additional locations, employ people who are passionate about our product and add services to our center. We are looking to add services such as massage, acupuncture and Reiki to our lineup to create a different kind of healthy living center. NAPW: How is the economy affecting your industry? Gabbert: The economy is actually pushing our company forward. With the high cost of healthcare and the questionable practices of big pharmaceutical companies, people are looking for a “natural alternative” to aid them in achieving a healthy lifestyle. NAPW: If you weren’t getting paid to do what you do, would you still do it? Gabbert: Absolutely, 100 percent yes. We’ve been in business one year and while I pay our employees, I reinvest the rest into new product. Right now, I don’t get paid. I’m looking forward to that changing within this coming year. NAPW: Describe a time when you had to give an employee or co-worker difficult feedback. How did you approach it? Gabbert: As a leader, I focus on development of my workers. Employees should always be aware of their performance level. An employee should never be surprised at the time of their review or implementation of a performance plan. Coaching is an ongoing process. However, sometimes you have to recognize someone is not going to be successful in their current position. The last person I had to mentor in this way was the very person who helped me get my next job when I was looking to make a move. Based on how I handled her situation, she trusted me and knew I was fair and non-judgmental, and that the actions I took were based on measurable results and not personal opinions. Johnson: Leadership is influence. Therefore, a good leader must be trustworthy with impeccable integrity. They must be open, honest, teachable, confident and filled with courage. To lead well you must hold the utmost respect and value for others, and have a great desire to coach them to become all that God has created them to be. Connecting, nurturing, empowering and adding value to others should make your own heart soar. 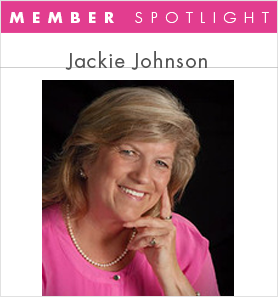 Johnson: My very next step is to become a certified coach with the John Maxwell Team, which will happen in March 2016. The following month, I will begin my Doctorate of Ministry program at Dallas Theological Seminary. My vision is to tell the stories of glory and teach seminars all over the world. I want to come alongside pastors and leaders to encourage them with prayers, presentations and educational materials that will help build their local ministries in the love of Christ Jesus. NAPW: What new skills have you learned over the past year? Johnson: A few months after I graduated from Dallas Theological Seminary with my Masters in Theology, I began working with biblical storytellers in our area. I fell in love with the art and immediately started using it as a tool in my Bible studies. I find that storytelling touches the heart like nothing else. I present the Word of God in such a way that it captivates the heart and mind of listeners. As you are drawn into the stories of glory by the power of the Holy Spirit, you will find yourself longing for a deeper walk with Christ Jesus. This ministry is a pure joy from God and all glory goes back to God. Johnson: Yes. My calling and greatest passion is to teach the Word of God and to be part of a discipleship ministry that is culturally relevant. I love to encourage and mentor others as they travel their spiritual journey. We are the body of Christ and that is pure beauty. We are called to love as He loved us. NAPW: What do you find most challenging about your job? Johnson: The absolute most challenging thing of all is knowing God’s calling and the passion that He has instilled in my heart to carry the “Light” but having to face the still prevalent issue of the roles of women in ministry. NAPW: When do you feel it’s a good time to quit a failing endeavor to start anew? Katz: My motto is “never say die.” I am an extremely tenacious person and can be dogged in the pursuit of goals. However, part of what makes me successful is that I know when to pull the plug on a losing venture, or I can reevaluate initial goals and adjust the strategies necessary to achieve those goals. If a goal is truly important to me, I will look critically at what went wrong and devise a plan to start anew. NAPW: Name three characteristics you feel all successful people share. Katz: Successful people share the following three characteristics: a genuine passion for what you do, an ability to connect well with people with whom you work and an ability to be flexible in devising a strategy for accomplishing goals. NAPW: How important is having a sense of humor to your daily business life? Katz: Having a sense of humor is critical in every aspect of life, but it’s especially important in building a workplace environment that encourages individuality and helps build morale and team spirit. It is often critical in promoting creativity, reducing stress and building trust. As a leader of my law firm, I find that exhibiting a good sense of humor makes me more approachable and likeable. Humor can help reinforce relationships. We tend to hire individuals who also have quick and cogent senses of humor. Staff meetings and day-to-day interactions are greatly enhanced — particularly given the high stress levels of our work — when one is able to see the humor in a given moment or situation. NAPW: What do you do to maintain a healthy lifestyle? Katz: I try to exercise every day. I prioritize eating well — organic, fresh food — and try to avoid eating on the run, which is certainly an occupational hazard for those of us who have heavily scheduled, pressure-filled days. My law partners and I try to meet at the gym or walk through Rock Creek Park several times a week before work. It’s a great way for us to catch up while encouraging one another to prioritize wellness. NAPW: How do you manage stress? Katz: I manage stress by trying to maintain a healthy lifestyle and keeping a long-term perspective. Spending time with my teenage son is probably the biggest stress reducer for me — he is a truly funny kid, and he keeps me laughing and engaged in activities I never envisioned being involved in. For one, he breeds and shows bantam chickens, sheep and Labrador Retrievers. I never imagined driving 500 miles with roosters crowing in the backseat of my car to attend national poultry shows, but that’s where my son’s interests take me. As odd as it sounds, being in a pavilion with 7,000 show-quality chickens and roosters can certainly transport me from the pressures of running a law practice in Washington, DC. NAPW: Did you have a mentor who guided you on your career path? Would you have had the success you have now without them? 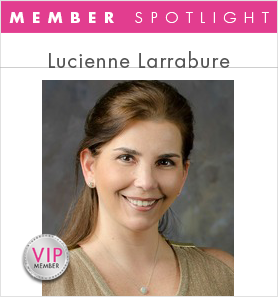 Ladouceur: As a retired U.S. Army Officer, I was fortunate to have several people take a vested interest in me. My mentors guided me, encouraged me, chastised me and counseled me. They provided me with career guidance. There was a connection between us and they shared in my successes. As I became a more senior officer, I became a mentor as well as a mentee. I particularly reached out to other women because the Army is a male-dominated organization, and during my own career, there were not many female senior officers. However, some women were not always so eager to have a female mentor. They wanted male officers as their mentors in order to be accepted. I understood, but I was always there to lend advice and assistance in order to help the women navigate being female in the military. I am now in a different mentor program and again I need someone to take an active interest in my career, this time as a realtor. I have the same needs that I did as a young lieutenant. I am thankful for the Keller Williams Realty Atlanta Partners for hosting an outstanding mentor program. It is never too late to learn, and one should never be afraid to seek and accept advice from someone more experienced and successful. NAPW: Name three characteristics you feel all successful people share? Ladouceur: Determination, dedication and tenacity. NAPW: Have you ever felt that your integrity would be compromised while making a business decision? How did you handle it? NAPW: It’s been said that it’s not what you know, but who you know. Do you believe this is true? Does it relate to you? 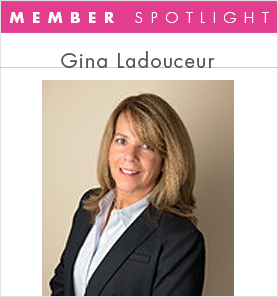 Ladouceur: Leveraging your network can get you in the door, but the bottom line is that competence and expertise are required to earn respect. While in the military, I did leverage my professional associations / mentors / supervisors to get considered for positions, but ultimately it was my performance record that secured my selection. I strongly believe that outstanding performance is the most vital component of any résumé. NAPW: When starting out, how important was networking to the success of your business today? Ladouceur: Networking is important to further one’s professional development. As a professional realtor, I network daily at the grocery store, school, meetings and, of course, professional associations. Larrabure: There are no failures unless you quit. Quitting should not be an option when you are still able to learn from the experience. Change is more welcome. Quitting has the connotation of an end, and that can ruin momentum. Change, however, is a course correction that keeps momentum going. Problems are simply opportunities to see where the right path or decision is. Larrabure: Authority over conditions. Coherence. Confidence. NAPW: What techniques do you use to handle difficult employees? Larrabure: I try to connect with them at a deep human level. Depending on the situation and the person, I will recognize his / her needs and validate their values, and at the same time give strategies to help that person feel empowered and aligned with the company. When I talk to difficult employees, I want to make sure that I address in our conversation what they can do to fulfill unmet goals and create outstanding results. Larrabure: Key. Fundamental. Needed. Sometimes we are too hard with ourselves and take life too seriously. A sense of humor can help you with follow through and self-care. Life is flexible and humor shifts your perception so that you can see certain instances as rich experiences instead of just wasted moments. Larrabure: Very important. We are social human beings and we all have the need to connect, share, be heard and be seen. Good services, products and ideas deserve to be seen, known, used and applied. Sharing what you do and how that can add value to the lives of others is the right thing to do, and networking is a powerful way to do it. 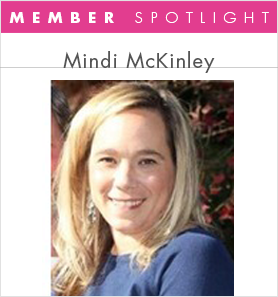 McKinley: Setting ambitious but achievable individual and team goals for my associates has helped us succeed and build an office / family atmosphere. NAPW: What ways have you found to make your job easier or more rewarding? McKinley: Acquiring extensive industry and product training for myself and my associates in order to educate consumers through a consultative sales approach makes my job both easier and more rewarding. McKinley: When choosing employees, I look for candidates who are ambitions and also possess a desire to help others. Those qualities are most important to me. McKinley: I have an open-door policy and use encouragement, positivity and incentivizing to get results. NAPW: What gets you excited and drives you to achieve? McKinley: I am motivated when I set and meet personal and career goals. Schiel: I don’t think she would consider herself a mentor, but there was someone who was a kind voice in a time of great sadness in my life. She listened and helped me find the right answers. It is because of her support that I was able to figure out how to start my own business; however, my mother is the inspiration behind my business. Schiel: I believe it is a combination of the two. In my business now, it is crucial to be able to give expert advice to families. I rely on the people I know and work with every day to help me guide families through what can be a very overwhelming time. Schiel: I think a sense of humor is important in every aspect of life! When I talk to families, I hear so much sadness. Being able to share some of my own personal situations and looking at them with humor seems to help the families with their own issues. Schiel: I try and exercise as much as possible and eat as healthfully as I can. Sometimes, I just have to make myself step away from my office. An important component of a healthy lifestyle for me is laughing, and I am blessed to have a family that knows how much I need to laugh. I also try to surround myself with people who look at the glass as half full. Lastly, I believe in prayer and talking to my beloved parents in heaven. Schiel: It was the only true groundwork I had. In three and one-half years I have helped over 400 families. They were all found through networking. Small: My clients and I raise the bar every day! It may be nine pounds, 18 pounds or 30 pounds, but everyone can achieve a positive change in their bodies, their minds and their spirits with hard work, determination and confidence. It is those last two repetitions or last two steps, combined with extra effort, that can and will make us stand out from the rest. Training never stops! It becomes a way of life. NAPW: Describe a situation in which you were able to positively influence the actions of others in a desired direction. Small: It truly happens daily! I am a leader, a believer, a creator and a force for good. My passion for life, love and happiness changes the state of those around me. I have a Fifty-foot Rule–care about others in my proximity, and direct my attention away from me. Small: As an Elite Trainer in Aspen, I am committed to making my clients faster, better and stronger. Rewarding? Absolutely! I have recently received my certification as a Performance Enhancement Specialist. With a greater understanding of the science of human movement, as well as the discovery of cutting-edge, evidence-based sports performance exercise techniques coupled with expert coaching, I am able to provide my clients with a richer training experience so they can achieve greater results. Small: Knowing that “Good” is the enemy of “Great.” Living by appreciation, not expectation. Defying the odds. Setting new standards. Stepping up to all challenges. The desire to be outstanding! Small: You are only as good as the people you surround yourself with. Those you spend your time with are who you become. NAPW: What are some creative techniques you use to increase your team’s productivity? Garner: I have a secret Facebook group for my entire team where everyone shares ideas and resources. I want to help others replicate my success so that everything they need to know to build their respective businesses is available for them. NAPW: How do you network? Garner: I use social media, mostly Facebook, to reach my audience. I use a non-sales-focused method of sharing that isn’t typical for the industry. If someone wants more information, I build upon that relationship via private messaging. My sales are made because my network of people trusts me and my input, and knows that I’m not just in it for the sake of a sale. NAPW: What is the best business advice you ever received from another woman? Garner: Be authentic. People can sense when you’re just in it for the sale. I genuinely want to help improve people’s lives, their health and their well-being. If they buy from me, great. It’s just an extra bonus. I never went into this business to make money. I’ve always chosen career paths that have helped empower others to live their best lives. NAPW: What one key factor made the difference in your business? Garner: My ability to share really helped me build my business. People weren’t afraid to ask me questions because they knew I wasn’t going to bombard them with emails or phone calls. They knew that, first and foremost, I was there to help educate and inform them. NAPW: Describe a career setback that you have learned the most from. Garner: A job that I really wanted was given to someone else. I was disheartened and felt like the job I finally did accept was at the same level that I was leaving. I wanted a job that would boost me up to a supervisory level. However, I learned that sometimes the things we think we need and want for ourselves aren’t always the best in the long run. I now know that if I had landed that job, my life wouldn’t be pointing in its current direction. I wouldn’t be where I am now because there would have been so many different choices laid out in front of me. I’ve really come to trust the process and the universe that the bigger picture is always going to be better than what I originally imagined or even planned for myself.